I was commissioned by a good friend of mine for her and her husband's 10-year wedding anniversary. 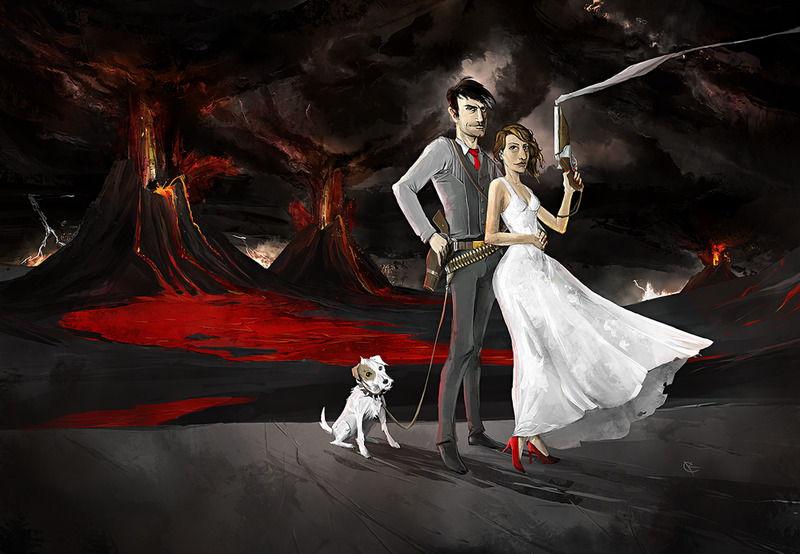 She wanted something apocalyptic, like my wedding announcement. That was made ages ago to be a very small 4x5 and this would be 11x17, so I thought I could do something much grander. She had some ideas in mind, so I just told her to give me all of them, and I made something that I think kept the feel of what she had in mind, without being too much information. I won't go into all the little details, but it was a lot of fun to make. Luckily she let me take my time with it, and I think it resulted in something pretty fun to look at. Here it is. Congrats on 10 years, guys!